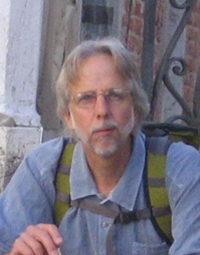 William Jaeger is a professor in the Department of Agricultural and Resource Economics at Oregon State University. His research and interests include environmental and natural resource economics, public economics and development economics. He has worked on a range of policy-related issues including water allocation, land use, energy economics, economic growth and development, agriculture in Africa, environmental taxation, and sustainability. Professor Jaeger got his PhD at Stanford University and was a research economist and consultant for five years at the World Bank. He then taught for twelve years at Williams College, MA before coming to Oregon State University in 2001. He was a Fulbright Scholar at the University of Venice Ca’ Foscari, Italy in 2007, has taught at the University of Washington, the University of Oregon, and published Environmental Economics for Tree Huggers and Other Skeptics, Island Press in 2005.